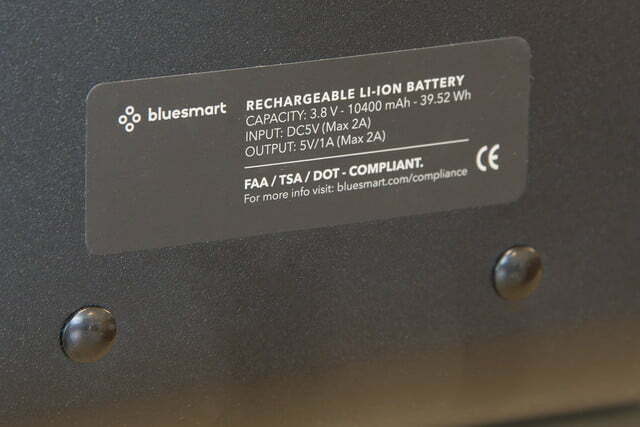 Bluesmart's Black Edition is the best piece of smart luggage we’ve tested. 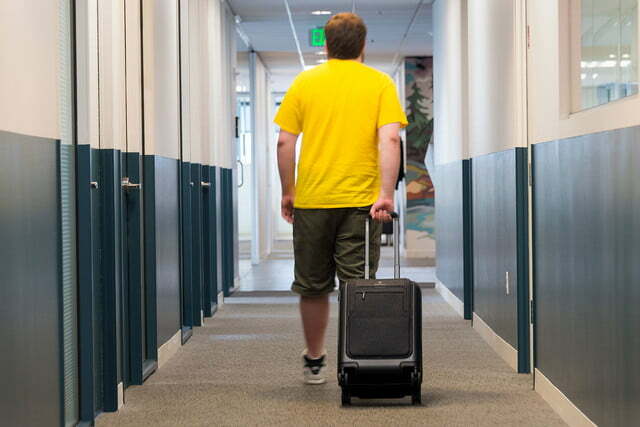 For as often as they’re used, the common suitcase has seen extremely limited innovation over the years. While many brands remained committed to making life easier on travelers by designing effectively rolling wheels, efficient storage space, and an easy to use walking handle, few iterations had much to do with the world of tech — despite travelers leaning on a gamut of tech-heavy devices. 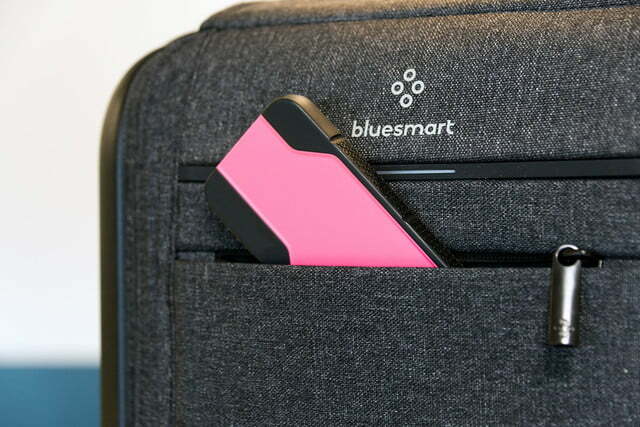 Enter Bluesmart and its suite of smart luggage aimed at making travel less stressful and more connected. 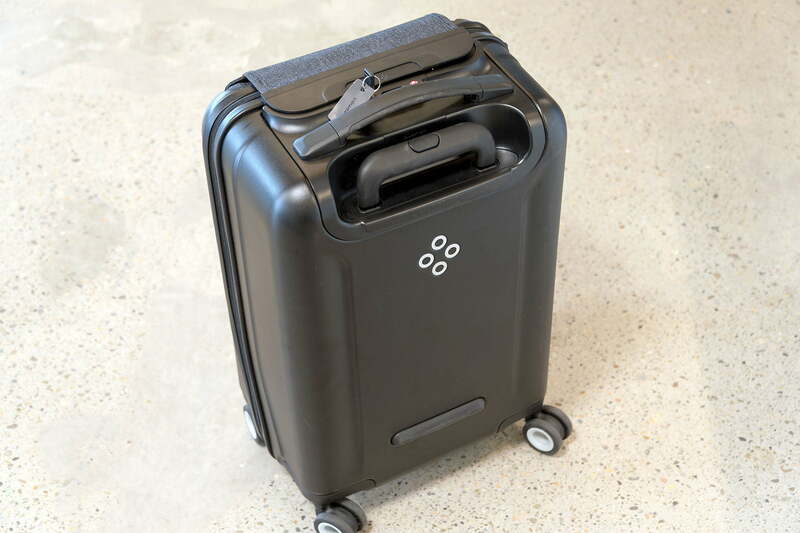 The company’s website even states that its products are “more than a suitcase, a personal travel assistant.” So, to get a true sense of what the term “smart luggage” actually means — and to put this travel assistant to the test — we decided to give Bluesmart’s Black Edition suitcase a run for its money on a recent weekend trip to Cincinnati, Ohio. 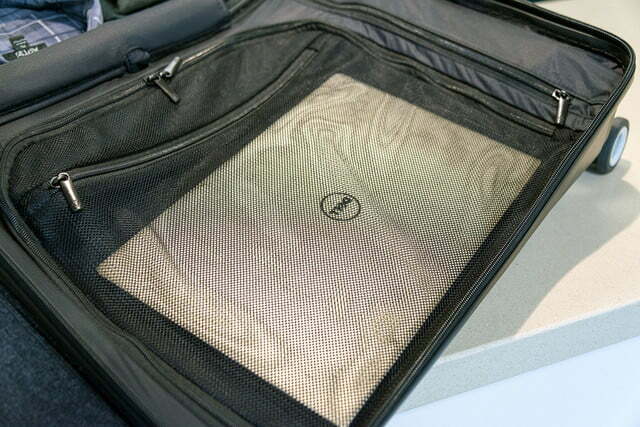 As the name suggests, Bluesmart’s Black Edition smart suitcase has a sleek black finish. Its front boasts a small zippered pocket perfect for storing a passport, small wallet, or other forms of identification while a larger, unlockable pocket has the ability to house larger objects such as a laptop, a magazine, or small book. 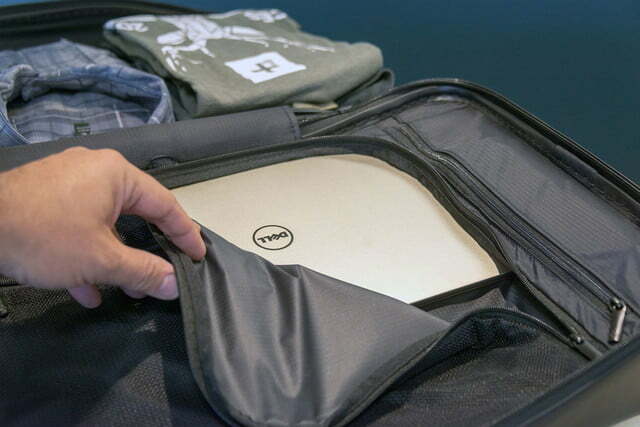 During our review, this larger pocket proved capable of toting around our 15-inch Macbook Pro laptop with ease and left us feeling comfortable with leaving it in there — unsheathed from its normal carrying case — even while putting it in and out of overhead bins. 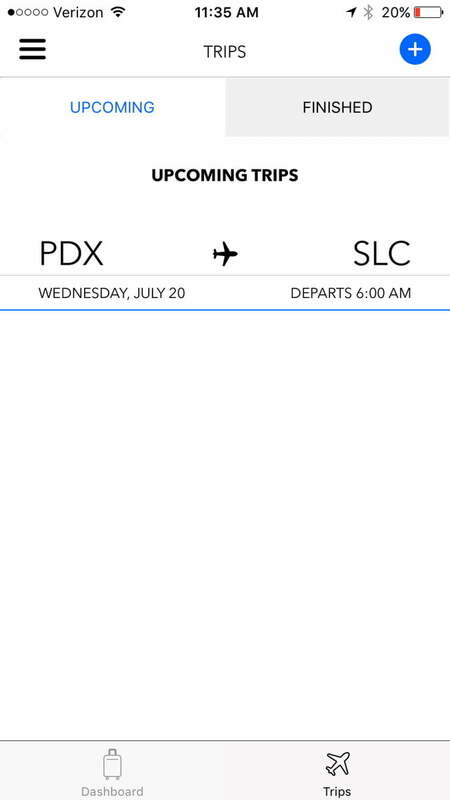 Keep in mind, with a series of connected flights between Portland and Cincinnati both ways; we had to put the suitcase in overhead bins many times. Just shy of two feet tall (22 inches, to be exact), the suitcase proved incredibly easy to manage even when traversing from one end of an airport to the other. Furthermore, its 360-degree spinning wheels made it an absolute breeze to wheel around. Whether we were getting onto an escalator, walking from carpet onto a moving sidewalk, or simply dodging a businessman with his head buried in his Blackberry, the Bluesmart Black Edition was always swift and agile. As any avid traveler can attest, this is absolutely vital. The case is pleasing on the eyes, boasting a near all-black design aside from the white in the wheels, the grayish Bluesmart logo, and the pseudo-Heather Gray color pattern on the front pocket and pouch. Considering Bluesmart designed the bag solely with black in mind, the finished product is surely what the company intended it to look like. It’s not flashy but it is still recognizable floating among a sea of other suitcases in baggage claim. For all the things the Black Edition does right in terms of design, there is one flaw we must point out. 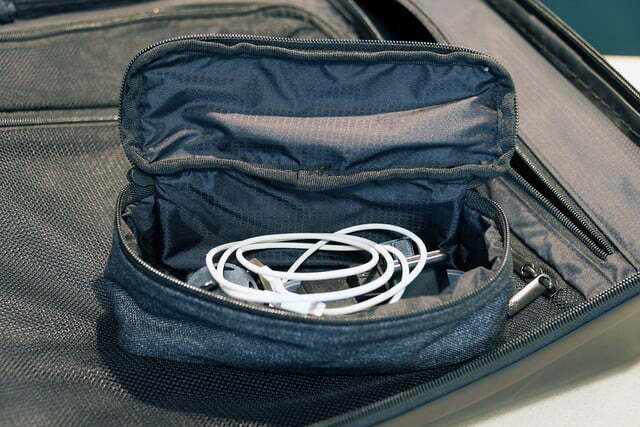 On the back of the suitcase is a USB port, a wall charger port for the case itself, and a Bluetooth syncing button. There is nothing inherently wrong with the buttons themselves, but they are located directly behind the bag’s handle when it’s pressed all the way down. We didn’t always have the handle completely raised while toting it around, which meant an extra step to charge our phone. It’s not a deal-breaker but it certainly didn’t score many points with us. Weekend warriors and light packers will surely love the limited space available within the Bluesmart Black Edition, though heavy travelers and vacationers may want to look elsewhere. As mentioned above, we put the suitcase through its paces while on a weekend trip to Cincinnati, Ohio — technically a little longer than a weekend because the trip lasted four days. Though unlike typical four-day jaunts, our trip also required a few extra items of clothing fit for an obstacle race. In all, two pairs of shoes, a couple pairs of pants, four button-up shirts, two casual tees, a handful of pairs of socks and boxer briefs, a pair of workout shorts, and a dopp kit fit in the Bluesmart Black Edition. While the clothing was right at home inside the suitcase, the shoes were a different story. One pair fit snugly into the left side of the Black Edition inside a medium-size zipper pocket, but the second pair of shoes was left to float in the middle. Bluesmart does include a handy screen cover to shield the clothes in the right side of the bag from anything that may potentially get them dirty, which proved helpful for our two-shoe dilemma. Once we packed the suitcase to what seemed its absolute max, now came time to zip the thing shut. 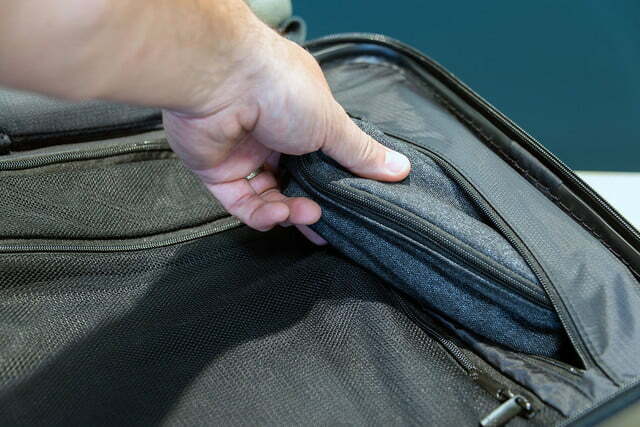 Unlike a host of other carry-on size bags, Bluesmart’s Black Edition did not feature a zippered expansion portion allowing for increased storage space. Because of this, our overloaded suitcase took some serious work to get closed. After finally getting it completely zipped, the suitcase did not appear strained whatsoever and continued to swiftly roll despite the excessive amount of cargo it contained. In addition to the interior storage space, the Bluesmart Black Edition also features a zippered pocket on the front of the bag and the larger laptop sleeve I mentioned earlier. Though these ancillary pockets weren’t designed to hold much more than a computer, a single book, or batch of magazines, they still proved worthwhile during our travels. All told, the available storage isn’t anything to write home about but if you’re able to travel light without bringing an entire closet’s worth of clothes, then you’ll have no problem with the Black Edition. 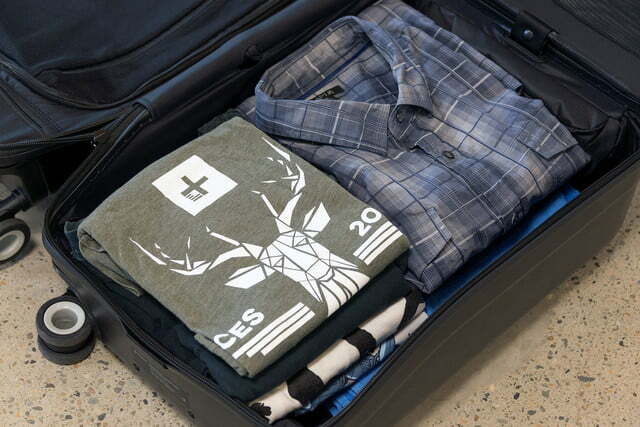 Every suitcase can carry clothing but what sets Bluesmart apart from the competition is its suite of smart features. Boasting a USB charger, location tracker, digital scale, and remote lock, the Black Edition is packed to the gills with 21st Century tech. Though some of you may be asking yourself why you’d need such off-the-wall features, we found each to be incredibly beneficial while on the road — especially the built-in charger and digital scale. As advertised, the USB battery charger is capable of charging electronic devices multiple times on just one charge of the suitcase itself. During our trip, this featured proved especially helpful at the end of a long plane ride when our iPhone was nearing death and we had a few moments to juice it back up before taxiing to our hotel. 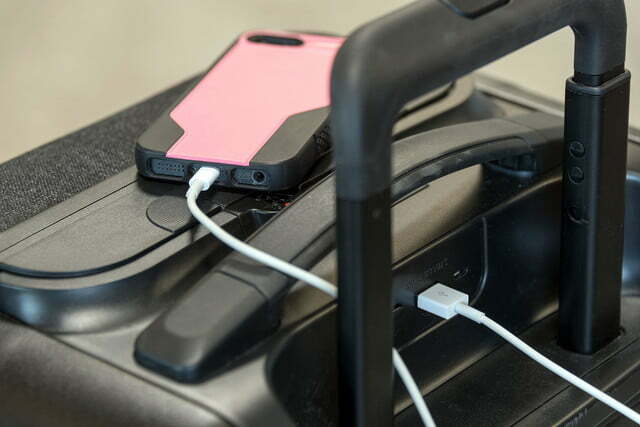 We’ve already talked about how the design of the suitcase is counterintuitive to using the charger, but it is a small nitpick on an otherwise effective feature. Boasting a USB charger, location tracker, digital scale, and remote lock, the Black Edition is packed to the gills with 21st Century tech. On the first leg of our trip, we opted to keep the Bluesmart suitcase with us and simply stowed it in the overhead bin during the flights. However, during our trip home, we gained an extra piece of luggage and were forced to check the Black Edition, which meant we needed to stay within Delta’s check baggage weight limit of 50 lbs. 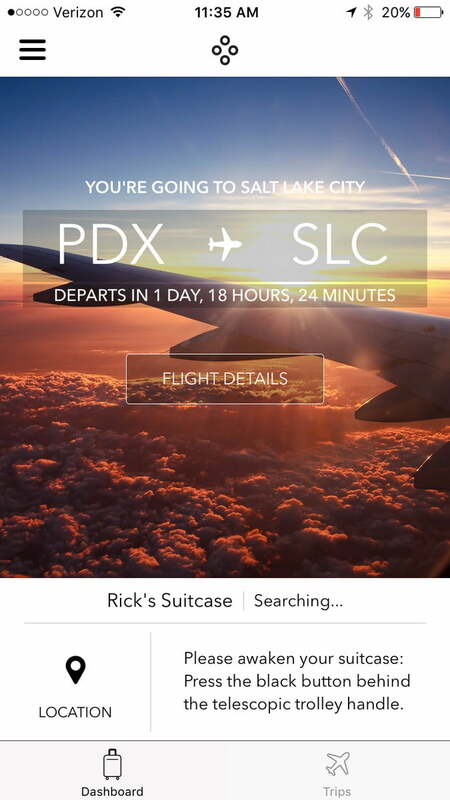 To make sure our bag didn’t exceed the limit, we selected the digital scale feature in the suitcase’s companion smartphone app, picked up the closed bag, and the app told us how much weight we were dealing with (38 lbs). It was awesome. We didn’t expect to surpass the weight limit but it was reassuring nonetheless. The two features we didn’t utilize as much — for good reason, thankfully — were the bag’s location tracker and remote lock. 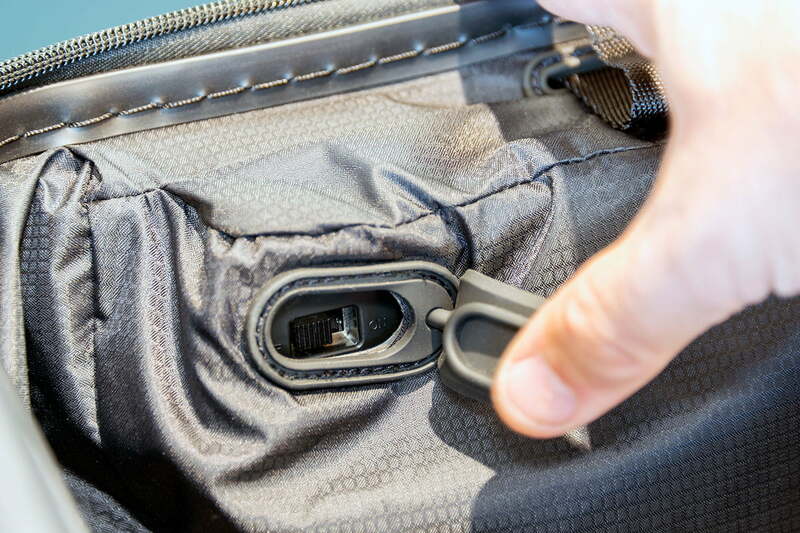 We did appreciate the fact that once the Black Edition’s front pouch latched on top of the suitcase, it remained locked until we selected “Unlock” via the application. 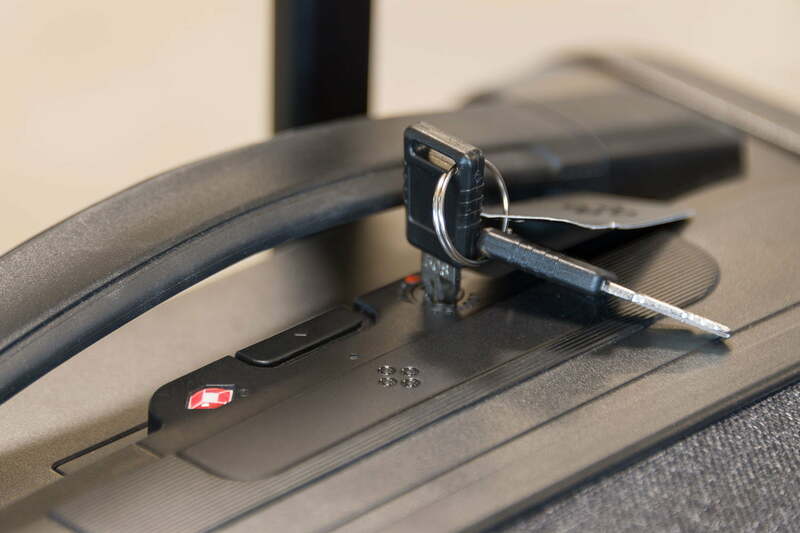 Though we never left the bag unattended long enough for the lock feature to play a significant part in our travels, it was reassuring to see the bag take precaution; after all, busy airports can get seriously hectic. 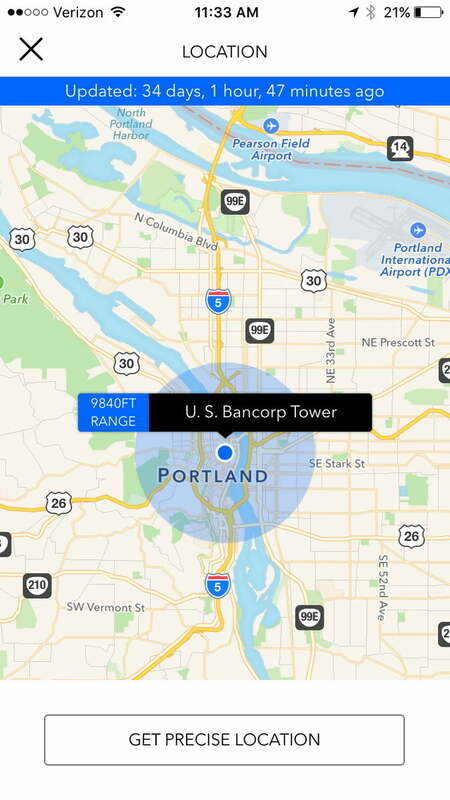 Concerning the location tracker, we never strayed far enough away to actually make use of the feature but we did boot up that section of the app to get a feel for its accuracy. We tried it from the comfy confines of our hotel room, at our flight’s gate, and in the back seat of our airport shuttle. Each time, the location tracker correctly positioned the bag — give or take a few feet when stationary and perhaps half a block while moving. It is not hard to see the benefit in this feature should a bag get swiped while someone (errantly) leaves the Black Edition unattended or if someone snags it off a baggage claim conveyor belt. Moreover, the fact that it also features a remote lock adds an even deeper level of security, and peace of mind. As you could probably deduce by now, each feature is controlled by a companion iOS and Android-compatible smartphone application. In addition to having access to these benefits, the app also displays your current location as well as the local temperature and day of the week. 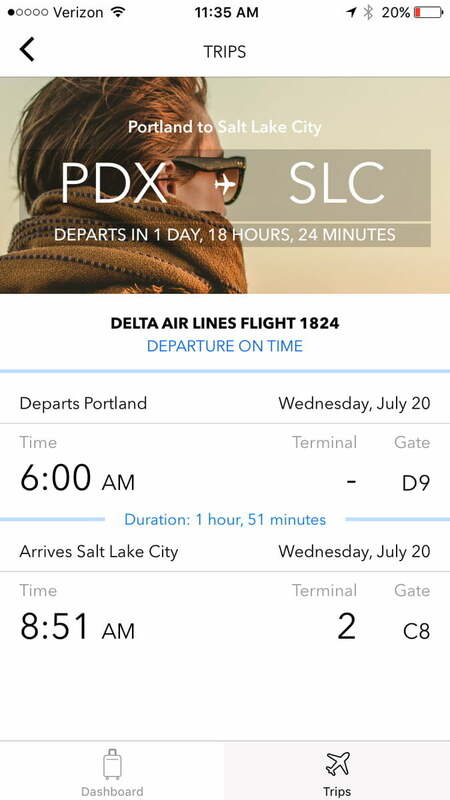 Furthermore, the app allows for the uploading of trip details, which keep you updated as to the status of your flights and any alerts or notifications pertaining to the trip. 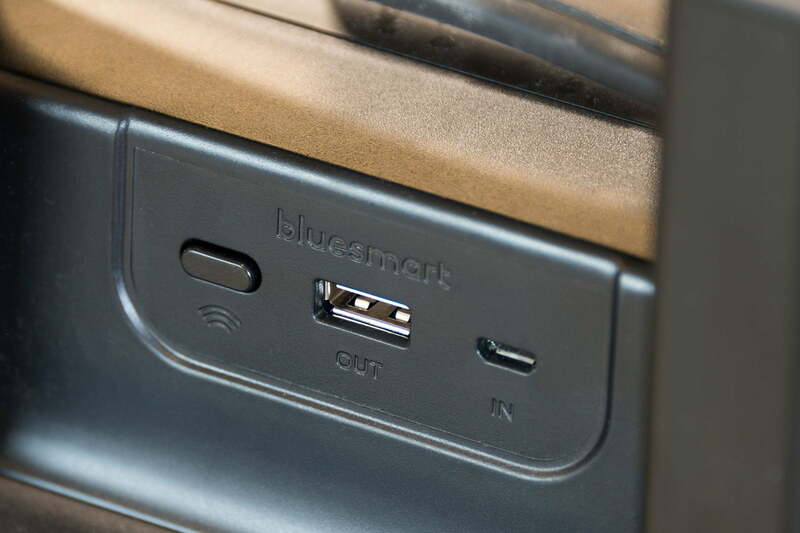 During our time with the Bluesmart Black Edition (and its companion app), it worked extremely well, granting us quick access to each of the features we needed. Lacking in the size department, Bluesmart’s Black Edition is still one of (if not the) best piece of smart luggage on the market. Though its $600 price tag may steer a healthy chunk of potential owners to opt for something cheaper, heavy travelers won’t think twice about purchasing something with this many beneficial features. Having the ability to actively charge a smartphone, iPad, or other USB-compatible electronic is a near-priceless benefit and something that makes the somewhat high price much easier to stomach. Nitpicks with the exact placement of the battery charger — and dissatisfaction with its ability to hold much more than a weekend’s worth of clothing — pale in comparison to what the Black Edition does right. 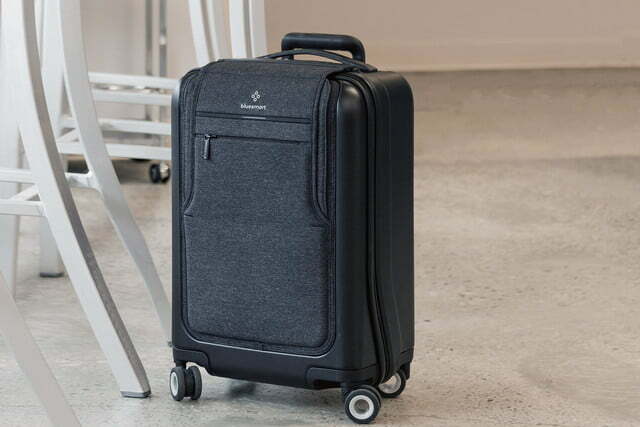 In addition to its bevy of useful smart features, the bag boasts a smooth set of wheels that deftly glide like a hot knife through butter. 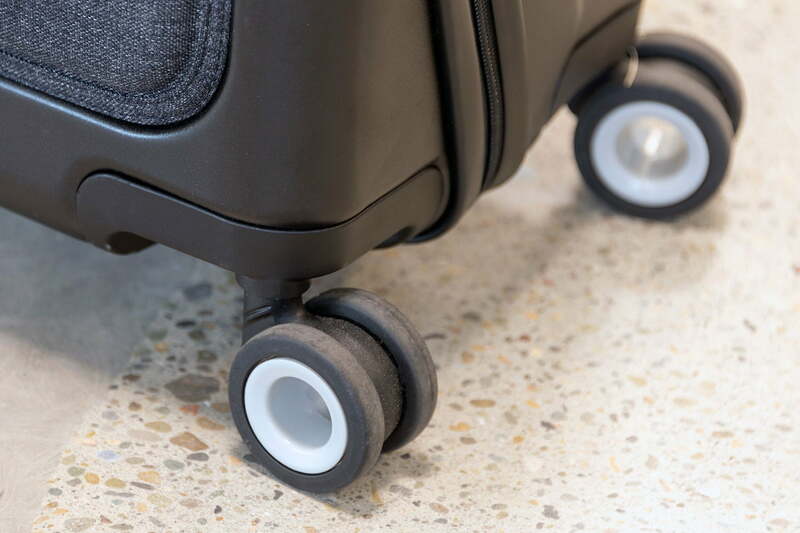 This may seem a mundane point to make but ask any frequent traveler what the most important aspect of their luggage is and we’d bet a majority would mention the performance (or lack thereof) of its wheels. For us, this aspect proved incredibly beneficial when dodging the occasional traveler who cared more about their emails than the people around them. 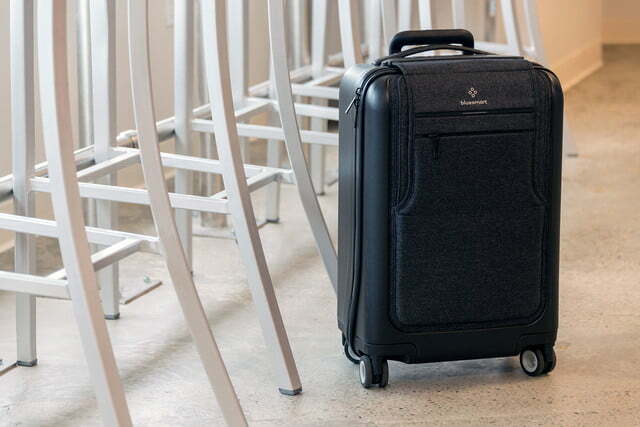 All told, Bluesmart’s Black Edition is a promising entry in the field of smart luggage and a suitcase we recommend to any avid traveler — be it for personal or business reasons. 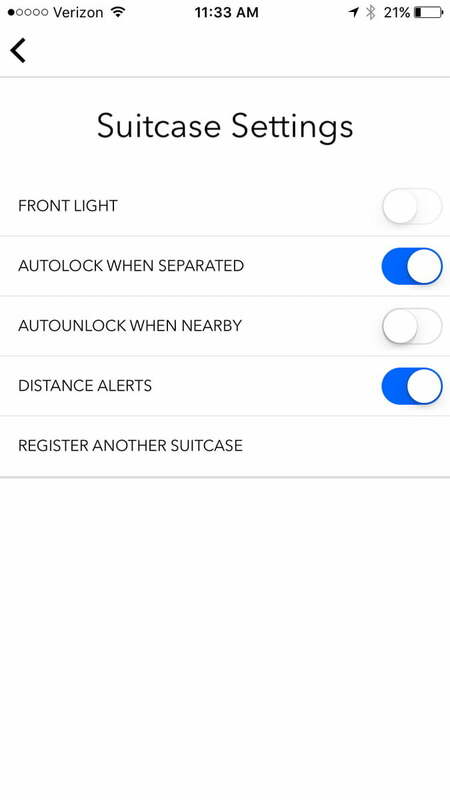 Aside from the suite of smart features that keep your precious electronics as close to 100 percent battery as possible, it may also help teach you how to pack lightly. If the $600 doesn’t put you off, the Black Edition is a remarkable traveler partner.